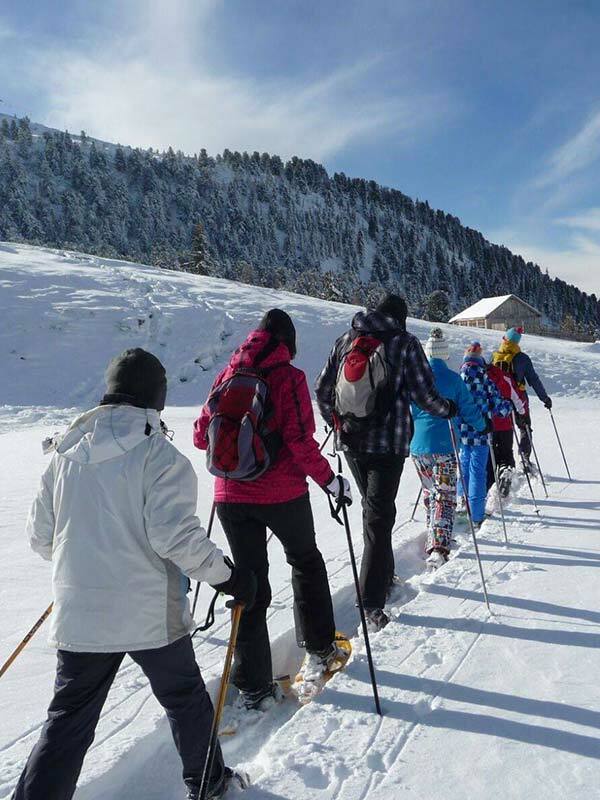 Hiking fascinates thousands of people, during summer and winter, and each season offers different sides of nature which are fascinating offering great emotions and satisfaction. Some people define it as the ideal way to fight stress, I am convinced of this. To be immersed in nature simply by walking helps us feel as an integrating part of the world surrounding us. Snow shoes give non skiers the opportunity to live in perfect harmony with snow, enjoying the intact and untouched snowy landscape. I offer outings during the day as well as night excursions combined with dinner in a mountain hut. 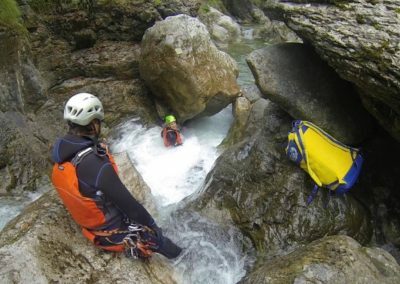 Canyoning is quite a recent discipline, it is an activity undertaken in the water, more precisely along the banks of mountain torrents. 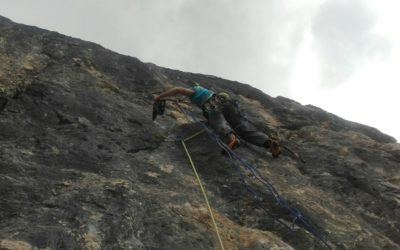 The game consists of descending into the cayons of these mountain torrents, using various gear, indispensible when guaranteeing the safety of the people practicing this activity. 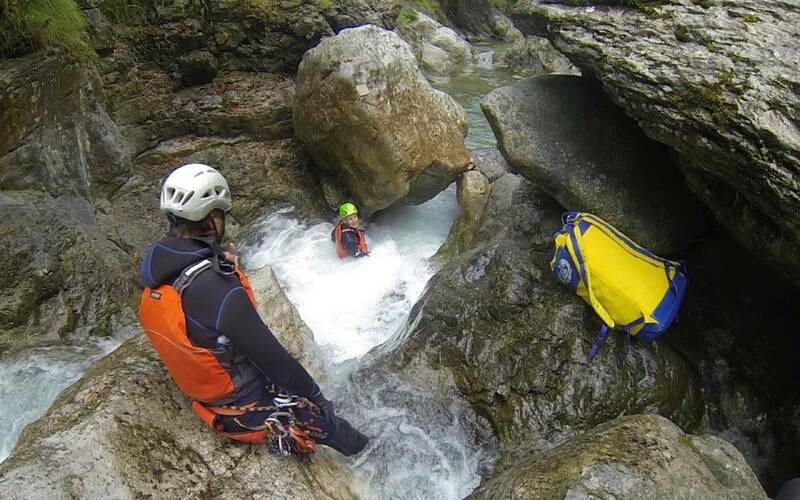 A special wet suit is used, with a life jacket, a helmet and a harness, this can be very useful for moving safely along the more exposed sections of our itineraries. 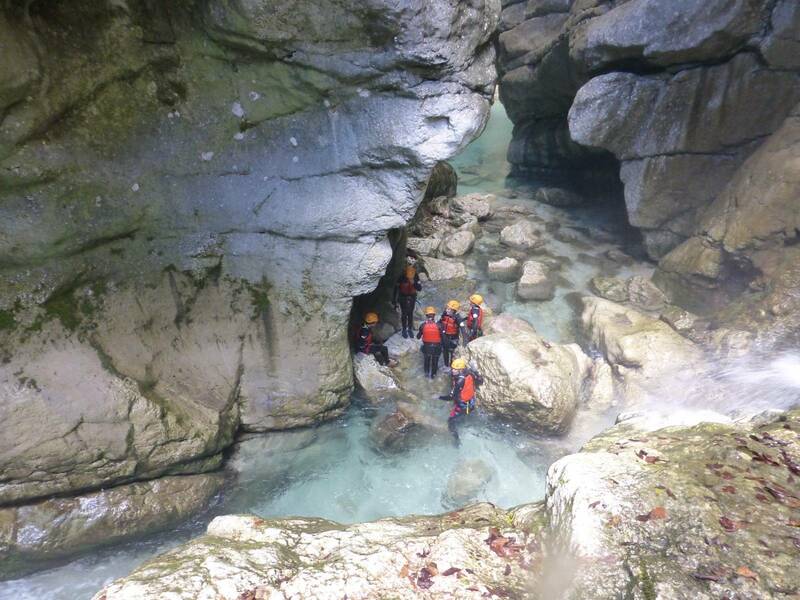 I offer a number of excursions in different areas, mainly in the area of Lake Garda and the Primiero Valley. A few of the itineraries are ideal for beginners who have not had prior experience. 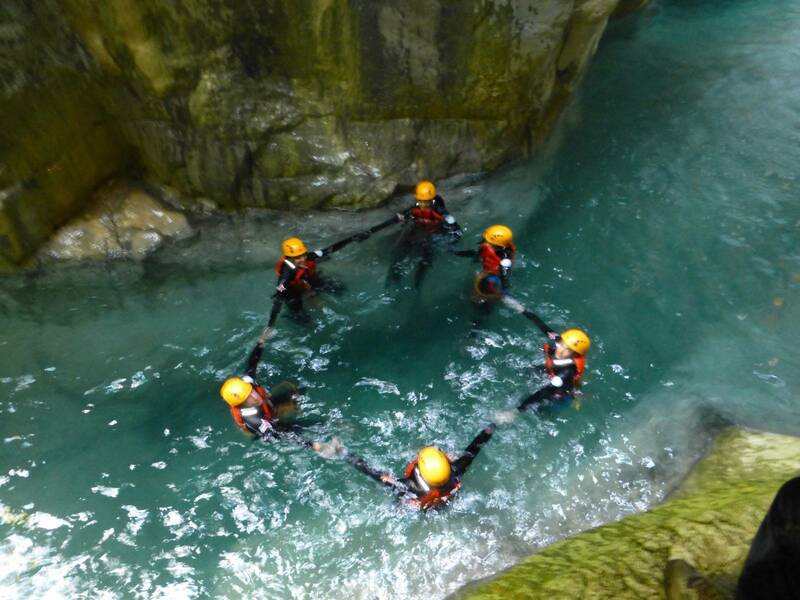 A brand new activity which consists in trekking on foot along the bottom of the Limarò canyon in the Sarca River. 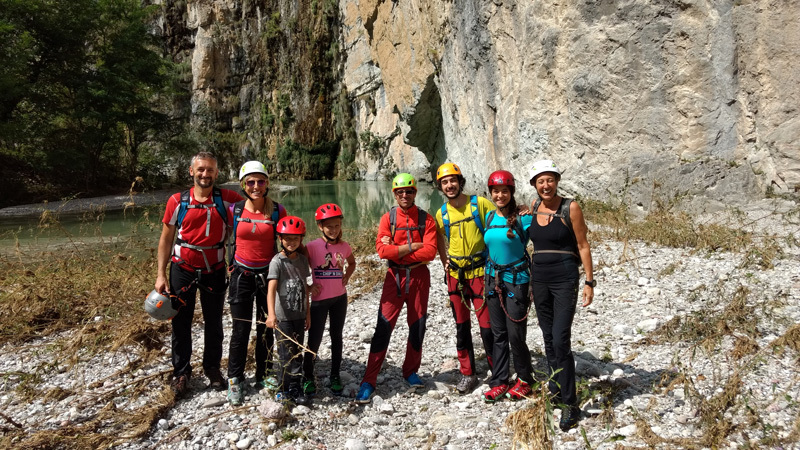 This beautiful Canyon runs along for various kilometres reaching the village of Sarche which is situated between Trento and Riva del Garda. 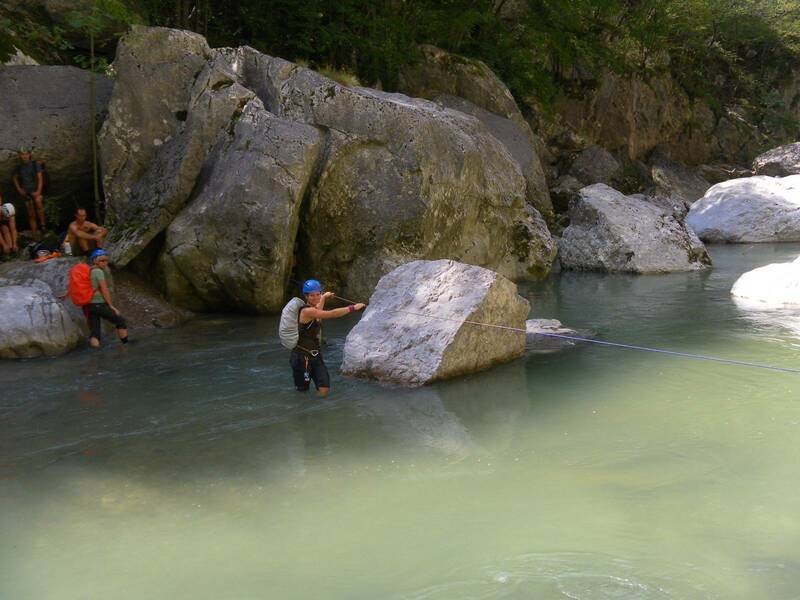 A special environment, one of its kind in Italy, where you will find all sorts of terrain. A varied itinerary, which is fun and adventurous. It is also ideal for people who cannot swim. 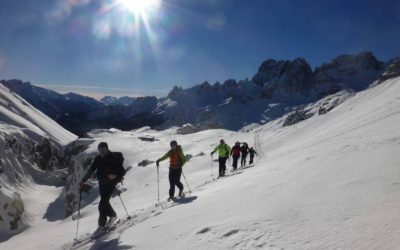 I offer excursions of all types and levels, varying from simple walks to more technical ascents and climbing important summits. 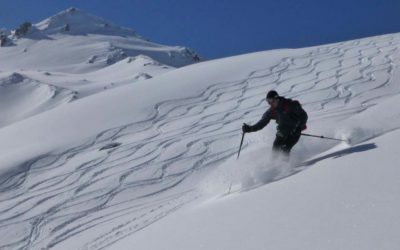 Varying from excursions lasting one day to excursions with overnight stay in mountain huts and great traverses lasting a number of days. 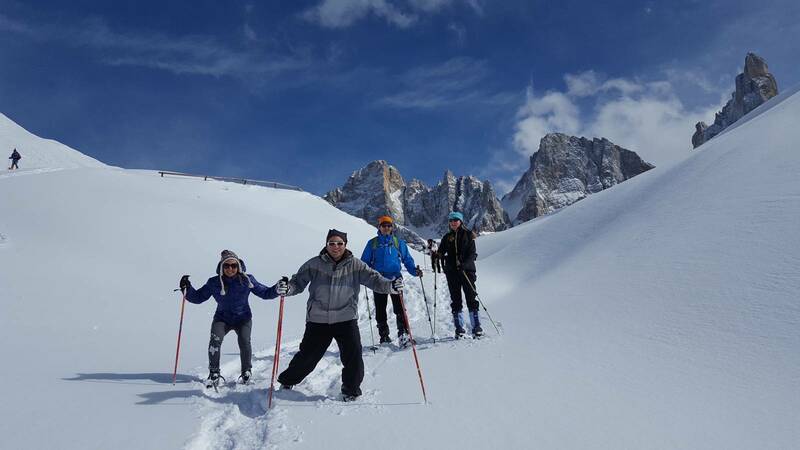 Personalized and tailor made proposals for small private groups and if you are on your own there is a vast offer in the programme of itineraries in the Dolomites to choose from. 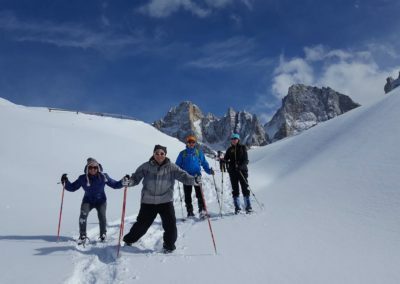 A great day out in the snow, surrounded by the beautiful scenery offered by the Pale di San Martino or other destinations depending on the snow conditions, to experience a fun and different way of experiencing the mountains during winter. 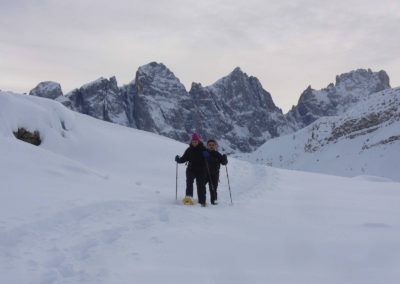 We require a minimum amount of fitness level, even if it is not a difficult hike the day consists of a 3-4 hour non consecutive walk throughout the day. 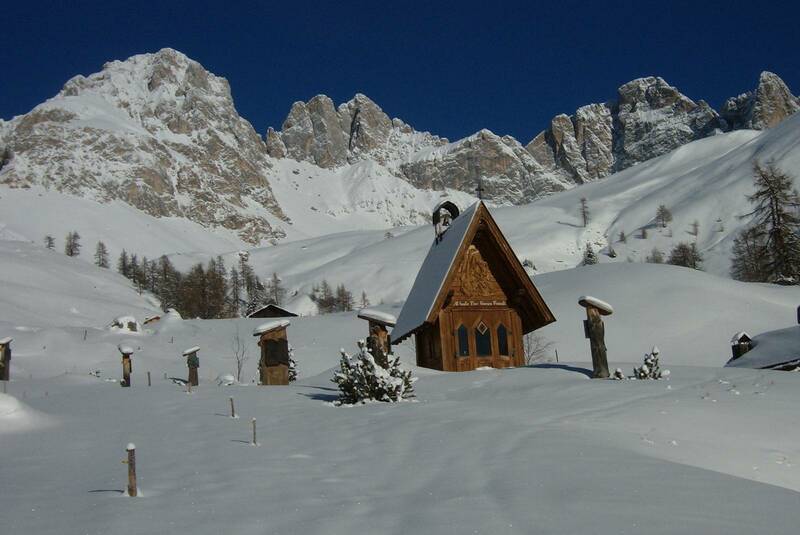 We will stop off at a mountain hut for our lunch. 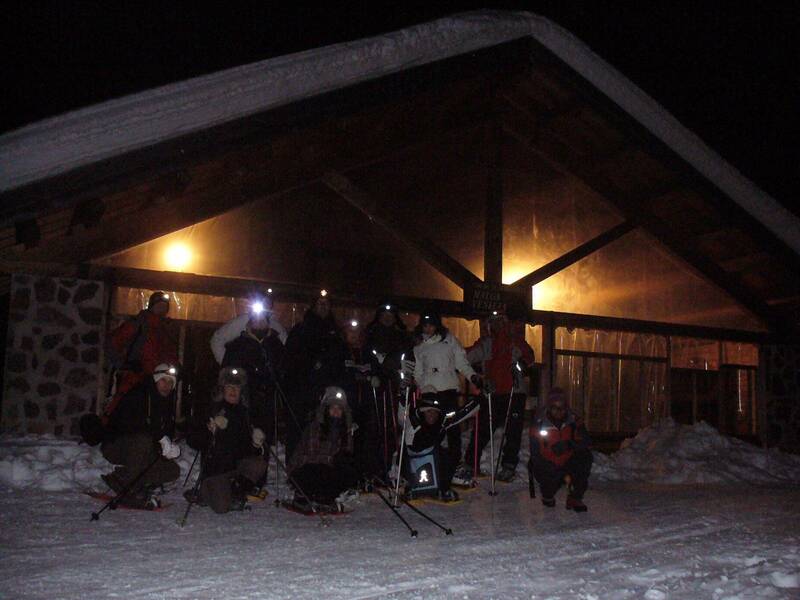 An unforgettable evening in company, a different and fun way to experience the mountains. 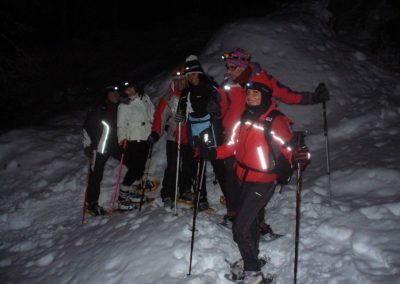 We will wear our snow shoes with a head lamp on walk through the woods and in one hour and fifteen minutes at an easy pace we will reach a mountain hut which will welcome us with a typical local dinner made with local products. 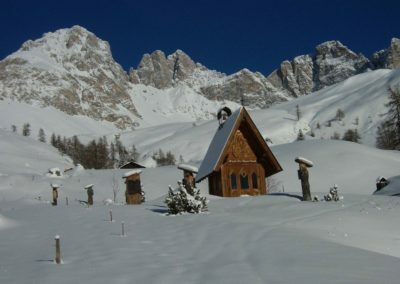 The outings are all in the Valleys of Fiemme and Fassa. 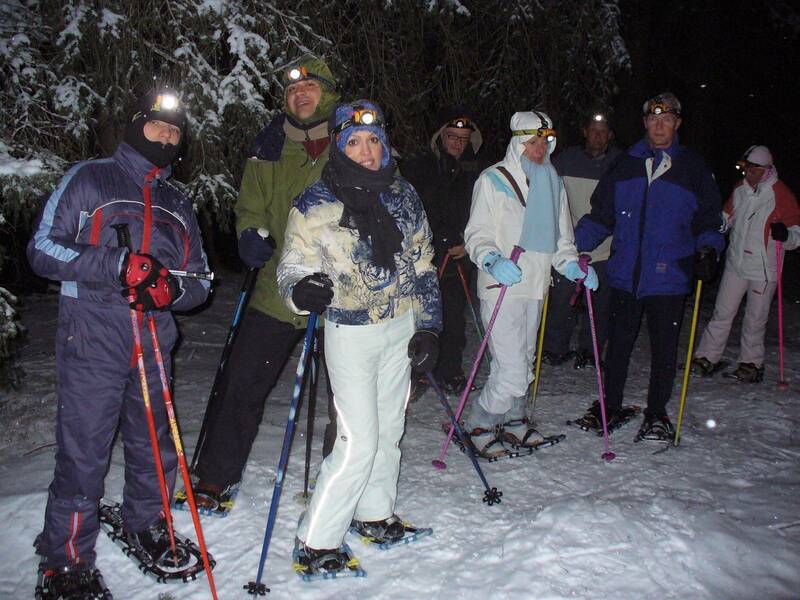 Spend an unforgettable evening in good company and enjoy the mountains in a unique way.